When Microsoft released Fresh Paint with Windows 8, the app was justifiably lauded as one of the best experiences on the new OS. On Thursday, Microsoft updated the app with a new palette—but just for Windows 8.1. Specifically, the new Fresh Paint includes watercolor paints, a new set of pencils, new high-end brushes and more realistic “art supplies” for your digital art studio, Microsoft said. If you have a PC, notebook or tablet with Windows 8.1, you can visit the Microsoft Store and download the updated app. 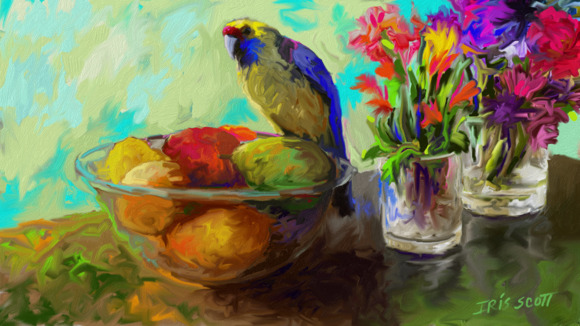 Paintings that users create can be shared, saved on SkyDrive, texted to friend, pinned on the Windows Start screen, or used as a background image. Fresh Paint isn't as simple as it looks, Microsoft said; behind the scenes, an incredibly complex physics engine mimics the behavior of real paint, the company said. 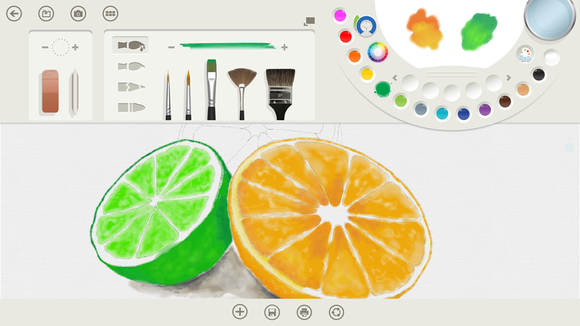 The new watercolor option in the Windows 8.1 version of Fresh Paint. "One of the things that makes the app so distinctive is how true to real life it is, and this update has brought that home even more," Steve Clayton, the "chief storyteller" within Microsoft, wrote in a blog post. "There are now paint and pencil models that mirror the way real paints, pencils and brushes work with canvas and paper. A new color wheel makes it easier to find and blend the perfect colors. And, if you don’t want to start with a blank canvas, you can insert a photo and go to town with filters and mediums to make it your own original work of art." The Windows Phone 8 version of Fresh Paint. 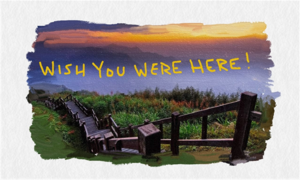 On Monday, Microsoft released the Fresh Paint app for Windows Phone, combining a drawing app with the ability to add filters and annotations to photos the user took with the phone's camera. (That version is based off of the older Fresh Paint app, and not the new version that Microsoft released Thursday.) The 22 MB download is only available for Windows Phone 8, Microsoft said. For parents of budding artists, Fresh Paint is a wonderful opportunity for kids to learn about mixing colors without the mess of real paint. And for those who simply want to sketch a bit while on the road, Fresh Paint can solve that problem, too.